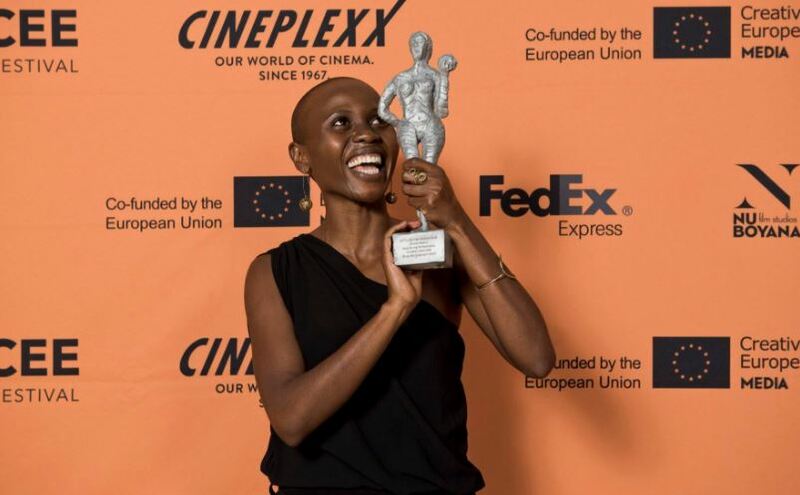 Rwanda’s Eliane Umuhire has won the Let’s CEE Award for the Best Acting Performance in a Feature Film for ‘Birds Are Singing in Kigali’. The annual Short Film Competition for 2018 was held under the theme: Together or Apart. Although eligible participants are filmmakers up to the age of 35 from Central and Eastern Europe, the Caucasus region, Turkey and Austria, filmmakers of all ages and from all over the world are welcomed with thematically fitting contributions. Not only are two main prizes of 1,500 Euro won, ten finalists have received an invitation to participate in the second edition of the LET’S CEE Talent Academy in Vienna. The LET’S CEE Film Festival not only brings a wide range of cinematic masterpieces but, hosts up to 150 directors, screenwriters, producers, actors, cinematographers and other film experts from across Central and Eastern Europe, year after year. The filmmakers themselves have many opportunities to share experiences with their international and Austrian colleagues. LET’S CEE Film Festival, based in Vienna, presents a carefully curated selection of the best current feature films, documentaries, shorts and promising debuts from Central and Eastern Europe (CEE). The festival also includes the Caucasus region and Turkey (26 countries in total). Various other categories range from legendary classics, topic-related retrospectives and tributes to prize-winning animations and even children’s films. With only a few exceptions, the roughly 150 films are presented in their original versions with English or German subtitles, and most of them are Austrian premieres.